International Quilt Festival, here I come! I’m very excited about going to the International Quilt Festival in a few weeks! 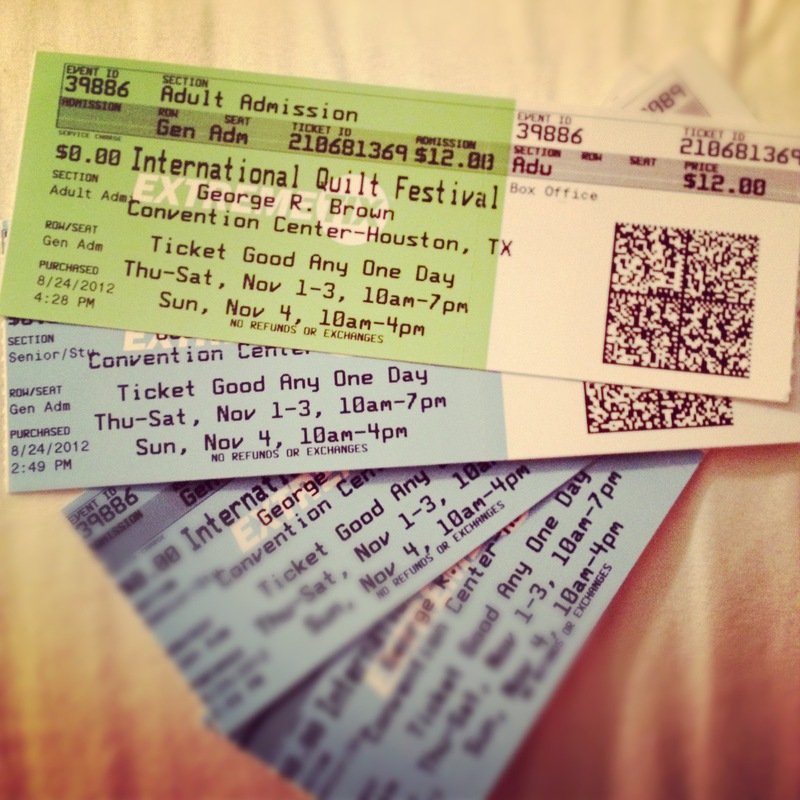 I sent my youngest daughter, Bethany, to pick up the tickets at Lone Star Quilting in Bryan. Stay tuned for updates from the show! The beginning of Nonni’s Patches isn’t as easy to pin-point as you’d think it’d be. I have always been the ‘go to fix it sewer’ in the family, hemming pants, fixing buttons, making curtains for a new house, throwing together a baby blanket for the latest shower. I’ve always loved sewing, so with retirement approaching, I decided to make it a side business. My daughters explained that meant getting a website and a Facebook page, so here it is. Naming my pet-project came easy; my grandchildren call me Nonni (their own version of the Italian word for grandmother ‘Nona’). And I was/am constantly getting asked “Nonni, I need a new quilt” “Nonni, fix my dress” “Nonni, teach me how to sew”. And this endeavor really started with making baby quilts, so a quilt from Nonni seemed the only appropriate name. And of course, no quilt from Nonni comes without lots of love, which brings us to my business name: Nonni’s Patches of Love. Stay tuned for updated projects, quilting news, etc. My hope is that others enjoy my patches of love as much as I enjoy making them.